What happens the morning after the end of breaking dawn? My attempt at lengthening the novel. Written for the TwiCon Centennial FanFiction Contest. This one didn't make the cut, but some wonderful people I trust a lot encouraged me to post it anyway. Best of luck to all of the finalists at TwiCon! 100 years after Breaking Dawn. Edward, Bella, Jacob, and Renesmee have had a century of experiences together. Their family has grown, but not without sacrifice. But this family continues to love regardless of the cost. Bella and Jake skip school, ditching Edward and Nessie. What do they do all day? All of your favorite Twilight characters (and a few new ones) come together for an unprecedented - and unofficial - 5th installment in the Twilight saga! The world of vampires will never be the same! Bonds will be tested. Friendships will be destroyed. Lines will be drawn! The Volturi is no more and a new vampire order fashioned after Carlisle's ideals and ruled by Edward's will has emerged. Set a hundred years after the events of Breaking Dawn. Everything CANON.....so no dark Eddie, but Bellie might be a little. Written (but not submitted) for the twilighted 100-year challenge. Edward, Nessie and Jacob are at home one morning while everyone else is out. 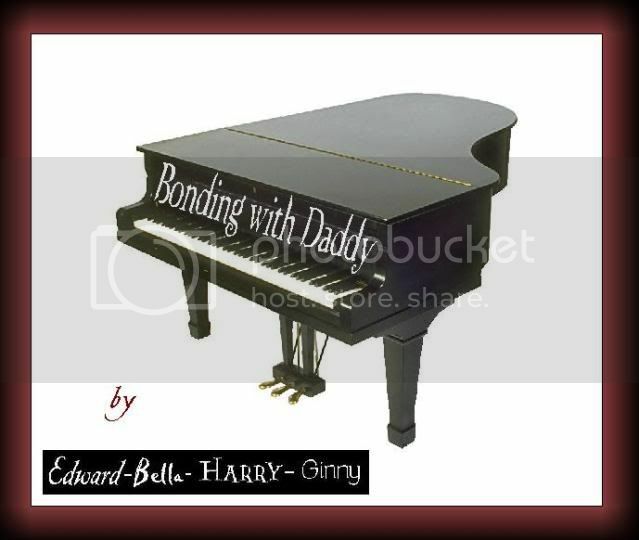 Four year old Nessie wants a piano lesson, and Jacob wonders how Edward learned to cope with his gift. "She looked up into my eyes, her soft brown orbs so like my Bella’s used to be. I couldn’t help pressing a quick, light kiss to her forehead and giving her shoulders a squeeze. I knew that she would start to pull away from my fatherly affections within the next couple of years, and I yearned for time to slow down." Post Breaking Dawn; Edward bonds with Jake/Nessie. A coming of age story. Six year old Nessie is having a lot of firsts: first move, first crisis and first love. Can she learn to live among humans and accept that part of her nature? Drama/Romance. Post Breaking Dawn. In canon. Renesmee has reached maturity and is one day away from turning seven, at least by human standards. Alice is busy as she obsesses over Renesmee's birthday celebration so it isn't difficult to convince the family to let Renesmee go on her first solo shoping spree. She doesn't know however, that this shopping spree would lead her to a self-distructive decision. How will she cope? Will her family understand? Could this impulse decision be the begining of the demise of her Friendship with Jacob? She had wanted more before but will Jacob be willing to after he finds out what Renesmee did? A one shot introspective look into the changes wrought on Leah's life in the span of a year. Written for Novel Novice's May/June prompt. Here's the final deleted scene from Solstice. This is what Solstice would've ended up as if I had let 'LuvNikkiReed' have her way. She has a major thing for Rosalie/Nikki and in every story she writes, Rose ends up naked with someone. Well, no different here. But in this little twist, she ends up with Lily. This is another deleted/edited scene from Solstice. In the posted version, most of this chapter was changed because my beta (and I) felt that it didn't really fit with the story. Originally, the thought was to let Lily be a teenager, and to experiment. Rosalie posed the idea of kissing and in this version, Lily agrees. Ultimately, it distracted from the Lily/Daniel story-line, and caused too many problems for Rosalie and Emmett's relationship. Also, because Rosalie, in this story is a parent-figure to Lily, it caused some role issues. Nevertheless, I think it's worth reading, so here it is! What would happen if Leah imprinted? What would happen if it was on someone we knew? Bella's fantasy - it's the afternoon of her first day of school, and Edward has come to kill her (ravage her). I never gave a thought about what marriage really meant, i loved Jake and i was happy. isn't that enough? i guess we will have to see. Part two of "Lily Honeycutt"